"Under Unai Emery, who has thrice won this competition with Sevilla, Arsenal are stronger and more consistent. Bettors make them [7.2] to win the Europa League." Chelsea are [5.2] favourites to win the Europa League after they were drawn to play Malmo in the round of 32, with the tie due to take place on 14 and 21 February. Arsenal will play BATE Borisov, while Scottish champions Celtic have what should be an entertaining tie against Spanish club Valencia. Maurizio Sarri's team will fancy their chances of easing past Malmo, who currently sit 14th in the Swedish Allsvenskan league table, and the Blues will go into the tie as firm favourites. The first leg will be played in Sweden before the second leg takes place at Stamford Bridge the following Thursday. 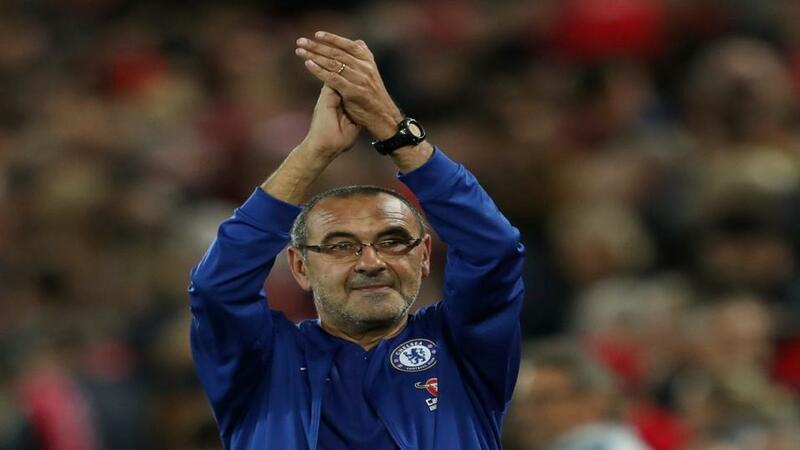 Chelsea won this competition in 2013, defeating Benfica in the final, and going all the way again could be a useful way for Sarri to end what has so far been an impressive first season at the Bridge. Of course, Chelsea's match away to Hungarian club Vidi last week was marred by alleged antisemitic chants from visiting supporters. That means Chelsea could face a partial closure of Stamford Bridge in the Europa League if Uefa finds a section of Blues supporters were guilty. The governing body is scrutinising reports before deciding whether to open a disciplinary case. Arsenal will also play their away leg first when they face Belarussian side Bate Borisov. Gunners fans will recognise at least one of their opponents, as ex-Arsenal favourite Alexander Hleb, who's now 37, plays for the club. Like Chelsea, Arsenal will be confident of getting through the tie as they played Bate last season in this competition and beat them 6-0 a the Emirates. Under Unai Emery, who has thrice won this competition with Sevilla, Arsenal are stronger and more consistent. Bettors make them [7.2] to win the Europa League. The second leg will be played at the Emirates on February 20 - that's a Wednesday - so as to avoid a logistical clash with Chelsea's match the following day. Celtic haven't had everything go their own way in SPL so far this season but they have a mouthwatering tie against Spanish opposition to look forward to in the Europa League. The Scottish Champions are an unfancied [110.00] to win the Europa League and will start as underdogs against Valenica who have dropped into this competition after being eliminated from the Champions League, albeit following a victory against Manchester United last week. Valencia's domestic form hasn't been too hot this season and they sit 14th in La Liga, so perhaps Brendan Rodgers' men will be able to upset the odds over the two legs.